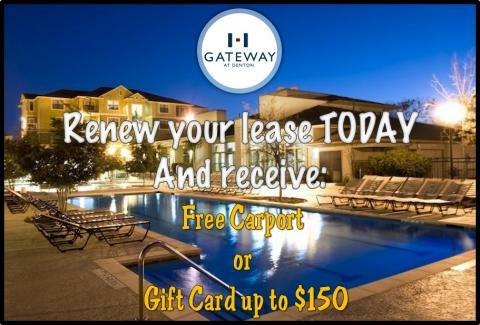 Gateway at Denton wants to offer our residents the best renewal offer early! Stop by or call the office today at 940-323-9010 and ask one of our leasing professionals about your renewal offer! Hurry in, as this is a LIMITED TIME OFFER!